Unwanted guests are never fun, especially when you can’t ask them to leave. Luckily, Norristown pest control companies have no problem kicking them out. Whether there’s a rodent in your basement or insects in the attic, call your local Norristown exterminator to take care of them — do not try to wrangle them out yourself! Not sure which type of home pest control service in Norristown, PA can tackle your issue? Read profiles and ask about their past experiences to get a good idea. Bedbugs, it's all we do. 1 day removal guaranteed. Mosquito Squad of Chester and Delaware Counties provides expert solutions to help you control mosquitoes, ticks and fleas and to take back your yard! Using an integrated pest management (IPM) approach we will help you to eliminate annoying pests from your yard. In addition to providing expert advice to homeowners on how to reduce mosquito and tick populations, Mosquito Squad can provide the right solution for your needs. From our full season barrier treatments to the ultimate in effective misting systems, Mosquito Squad will work with you to ensure the maximum use of your outdoor space. 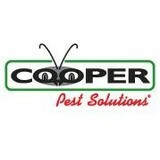 Cooper Pest Solutions has been a leader in the pest management industry for over 60 years. As the leading company for developing new pest treatment technology, Cooper Pest Solutions specializes in effective residential pest treatments. We work hard to control wasps, yellow jackets, hornets, mice, ants, and more. Our service area include Central New Jersey and Eastern Pennsylvania. All of our services are 100% guaranteed. SafeGUARD Pest Control has created a home protection plan that really gives you a piece of mind. You will never have to worry about pests again. SafeGUARD Pest Control has been servicing Burlington, Camden, Gloucster and all Ocean Counties for over 25 years. Providing quality pest control at an affordable price for over a decade. We are a one stop shop when it comes to handling pest problems. Homeowners in Southeastern Pennsylvania spend a lot of time in their yards, often making the most of any outdoor living space by adding swimming pools, fire pits and maybe some playtime items for the children. While these enhancements are a great way to get the entire family out to enjoy the fresh air and sunshine during times of good weather, that type of weather also draws other unwelcome guests– mosquitoes and ticks. No one can enjoy themselves when it becomes necessary to be constantly swatting at the buzzing, flying pests. Backyard mosquito and tick control are an attractive and practical solution for many property owners in the area. Our Service Will Protect Your Property Protecting yourself and your family from mosquitoes is not a simple task. “Why use insecticides on you or loved ones or be forced to wear long sleeves and pants? Mosquito and tick control for your home goes further by protecting your entire property. Our vector-trained technicians carefully evaluate your outdoor areas, identifying areas where unwanted mosquitoes or ticks gather and breed. Mosquito Shield’s professional spray works by first masking the presence of CO2 emitted by humans, the invisible gas that attracts the mosquitoes to your backyard in the first place. The spray then targets where mosquitoes harbor, killing the existing adult mosquitoes. Finally, the treatment acts as a barrier to repel mosquitoes from returning to the area and starting the breeding cycle all over again. Mosquito Platoon is an outdoor pest control company dedicated to controlling mosquitoes, fleas and ticks in your yard and pool areas. Our 21-Day Barrier Spray is an EPA Approved Program applied by our trained and licensed technicians. 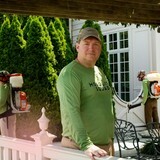 Mosquito Platoon will spray your outdoor living areas including trees, shrubs and foliage. Our spray kills all mosquitos that are present at the time of application and creates a protective barrier for up to three weeks. The treated areas can be used as soon as the spray is dried; usually in less than one hour. We then return every three weeks throughout the mosquito season to reapply our 21-Day Barrier Spray Solution. We offer Bitefreeyards for your enjoyment. Here at ProActive Pest Management, we do a lot more then just kill bugs. We create relationships and make you feel like part of our family. With over 15 years of experience it means we know the most up to date products and treating techniques, while also having a wide range of knowledge about pests. ProActive employs only the most well versed, well rounded, and extremely knowledgeable pest control technicians. You will absolutely love the work we do for you, whether it's residential pest control, commercial pest control, termite control, or taking care of those annoying rodents! At ProActive we treat your home or work as if it were our own and hold the utmost respect to your entire property. Call today for the bed bug extermination, or pest control services in the Pottstown area and beyond! Bug Out Pest Solutions, LLC has been keeping PLAINFIELD PEST FREE since 2011. Our professional exterminators will assess your pest control problem and recommend an effective solution to keep your property pest free. We've been protecting your Plainfield area homes and businesses for over 6 years. Environmental Services Pest Control, LLC is a family-owned and operated business in Lansdale, Pennsylvania, focusing on pest control and animal control services including termite and bed bug control. We pride ourselves on excellent customer service catered to all your pest control, termite control, bedbug control, and animal control needs. Through dedication to our customers and our commitment to quality, we can offer you the best service in the pest control industry. Contact us for more information about our pest control and animal control services. A locally owned and operated company with over 50 years of experience solving pest problems in the Philadelphia Main Line and Philadelphia suburbs. Enterprise Exterminating Company is a leading Philadelphia Exterminator. We have been serving the pest control needs of both residential and commercial properties in Philadelphia and surrounding counties for over 30 years. As a family owned and operated exterminator in Philadelphia, we have built a solid reputation as a Philadelphia Pest Control company you can trust. Our team of trained pest control professionals in Philadelphia can evaluate and eliminate your pest control problems in the most environmentally friendly way possible.